For Karen and Bill Buss, the journey into the candle making business began in 2008. Living in northern California with a lot of rain and dampness led to burning candles many hours a day. With this daily use Karen noticed that the candles weren't very well scented, there was always wax left of the sides of the jars, they were expensive and I became sensitive to the paraffin. So the couple started making our own candles, always being conscious of cost and quality. One year later in 2009 they moved back to northern Kentucky. They continued improving their product until they felt comfortable giving them as gifts. The overwhelming response they received from family and friends encouraged them to take their project to the next level. In 2011, they became Ida Candles LLC. Their company was named after both of Karen's grandmothers. She felt this honored all of her grandparents as well as her parents. 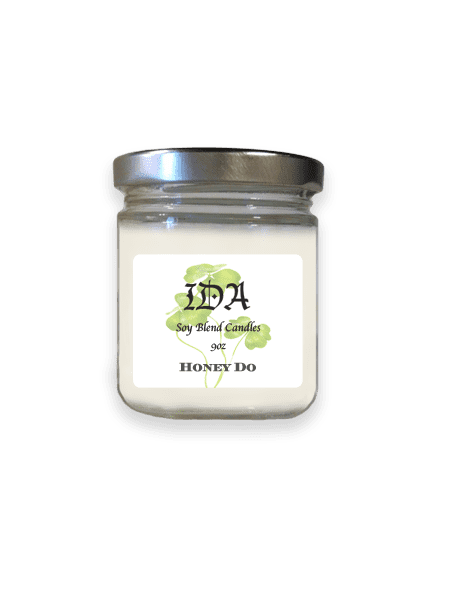 The primary mission of Ida Candles is to make an excellent candle and tart at an affordable price.